Bela Lugosi may be dead, but his spooky spirit lives on as symbol of protest in China. Social media users in the country are now posting their goth selfies in an act of solidarity with a woman was told to take off her “horrifying” makeup before getting on a train. The woman, a university student, said she was stopped by a security guard at a subway station in Guangzhou on March 10 and ordered to take off her “heavy” makeup. Photos posted by the woman on China’s largest social network, Weibo, show she had shimmery eyeshadow and dark lipstick on. 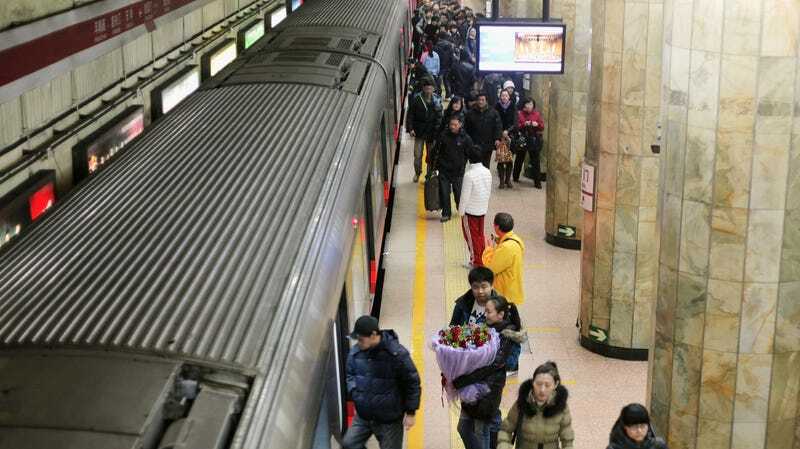 Guangzhou Metro apologized on its WeChat account over the weekend and said the security officer had been suspended, according to China Daily. But a nascent hashtag campaign shaming the subway operator and celebrating alternative attire shows few signs of slowing down.